To start, and to keep the discussion on the same page between everyone, we’ll define the word despite its supposed universality. Characters are “…a person, animal, being, creature, or thing in a story” who “perform the actions and speak dialogue, moving the story along a plot line” and are “…the whole reason for any story.”  They react and adapt to the situations around them, and they deliver the messages and the themes to the audience. Simply put, no characters almost always means no story. Yet not all characters were created equal. They tend to fall into separate classes and categories depending on several factors: their environments, their amount of detail, their connections, their progress throughout, their relevance. In short, it’s not always easy to exactly pinpoint the build of any one character. However, they can loosely be described using three linked ideas: roles, complexity, and development. Most characters have a certain role within a narrative, a role usually dictated by their importance, their relationships with others, and their general sense of uniqueness within a given story. These roles can range anywhere from can’t-do-without to just-an-afterthought to everywhere in-between. Thus, the first step to understanding characters is breaking down these roles. Protagonists are vital, essential to tales in which a plot plays out. Be it in anime or films, the protagonist is “the leading character of a drama….”  It’s a Greek term when plays were all the rage, so a protagonist can also be referred to as the star actor of a given work. These characters take on the central role, anchoring the journey to their presence as if they were a celestial body with a gravitational pull. It isn’t that the story “just so happens” to revolve around them. Rather, their struggles, their very existence is the very reason for the story in the first place. 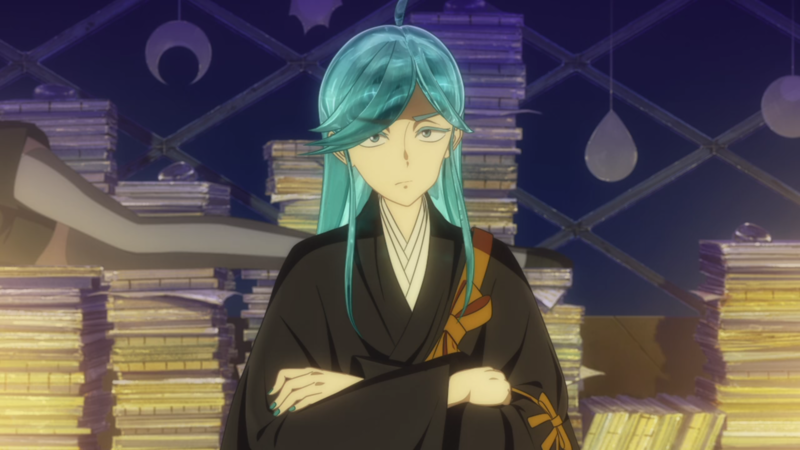 In Houseki no Kuni, Phos is the protagonist. The anime centers on their decisions and their outlooks as they question the world and interact with the other characters as events go down. It follows their perspective the most; they have the most impact on the story at large. Without them, there would be no lustrous land to follow to begin with. 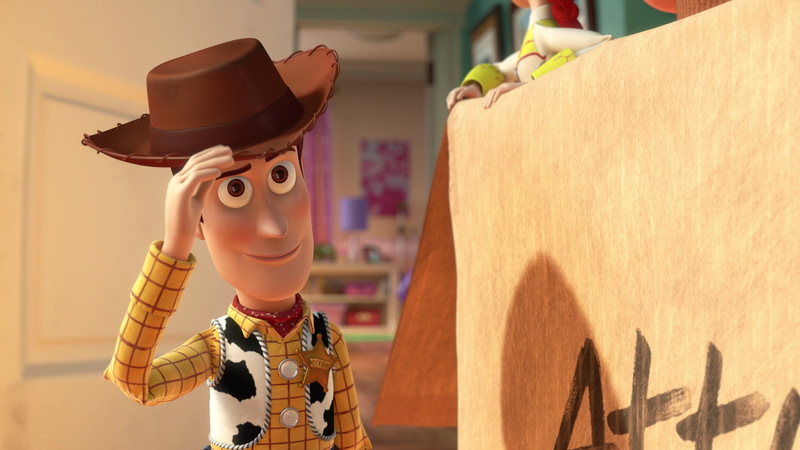 In Toy Story, Woody is the protagonist. The series starts with him, follows his actions, and ultimately makes his arc the most important to unfold. If Woody were to be removed entirely, there just wouldn’t be such a story at all. This word may sound fancy, but it is easier to get than at first perceived. Defined as “the person second in importance to the protagonist in a drama” , a deuteragonist is anything but next in line. They are often intimately connected to the protagonist, for the story involves them just as much as their storied counterpart. The term has gained some recent popularity among critics and analysts, for it highlights the notable impact and necessity brought in when that central role has already been determined. By extension, it could be fair to view him or her more simply as “the other protagonist”, especially when this new role comes off as hoity-toity. Nevertheless, it at least distinguishes itself from the rest of the crew. In Houseki no Kuni, Cinnabar is the deuteragonist. Besides the opening track and ending track visuals which star them alongside Phos, they carve a spot out within the narrative as a catalyst which pushes their turquoise companion forward. 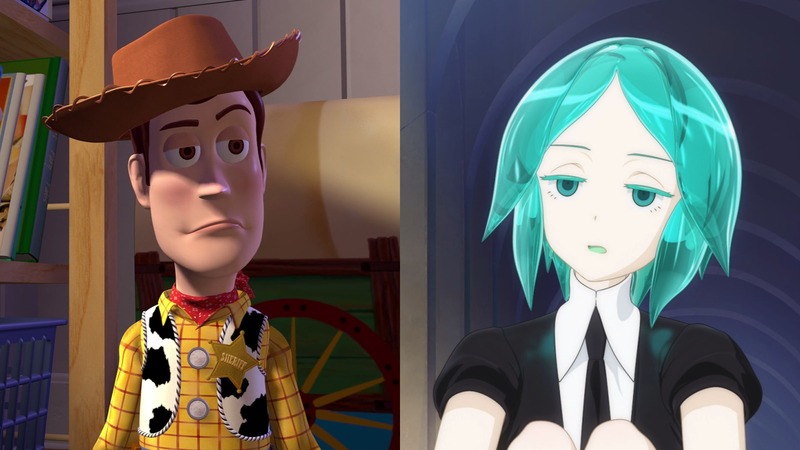 Their problems surface as similarities to Phos insofar as they both find themselves the odd-ones-out, signifying how important they are within the story. An antagonist is often coined the “bad guy” (in contrast to the “good guy” protagonist), but that doesn’t automatically relegate them to a maniacally evil stance. Indeed, they are a character like everybody else. Motivations, quirks, themes, struggles. An antagonist is another main player in the game that benefits (in a writing sense) the other characters and the overarching story through the conflict and the will they impose. 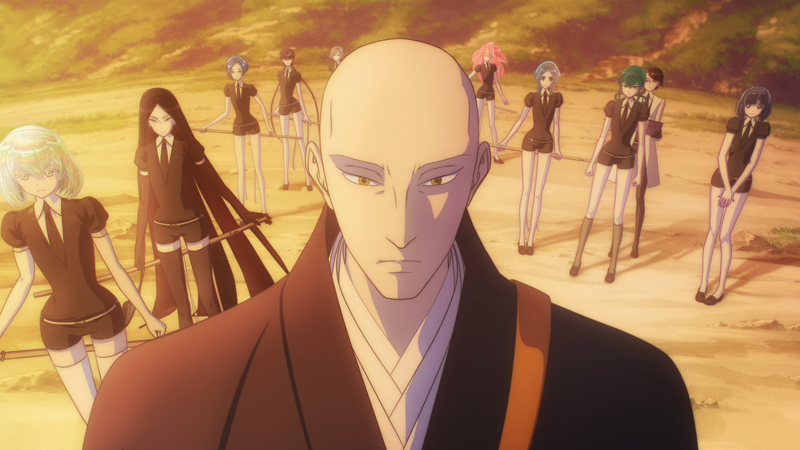 In Houseki no Kuni, the Lunarians are the antagonist. 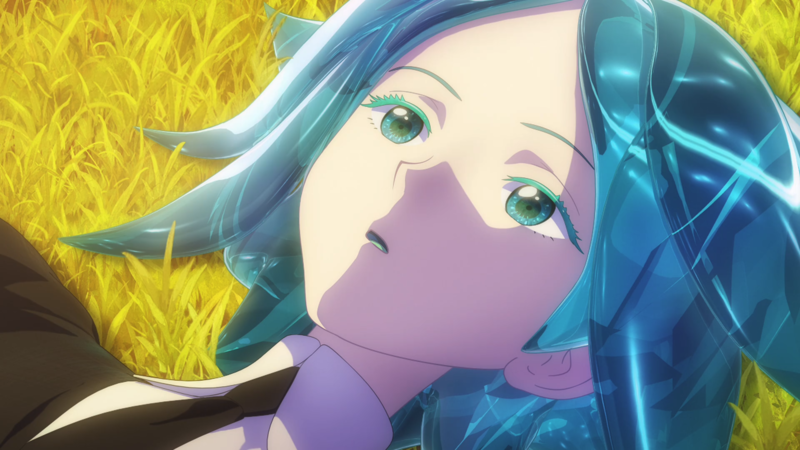 From the moon and appearing out of nowhere, they attack and seek out Phos and their friends for their shiny, glinting allure. The Lunarians’ true intentions remain a mystery, but the various tactics they employ and the unending pursuit they uphold pushes the precious rocks towards predicaments and consequently introspection. In Toy Story, Lotso is an antagonist. His backstory is a somber one, so he deserves some measure of pity, but he fits the bill here (with or without the smell of strawberries). He impedes the progress of Woody and the other characters, and his views oppose the moral goodness they champion. His most intriguing factor, though, comes from his inability to let go of the past, a central theme of the third movie in the series that ultimately turns it into a cherished finale and thus cements the huggable bear as a strong addition to the cast. It isn’t always fair to expect supporting characters to receive a huge amount of focus, and they may not deliver on a grandiose presence. Hence, they tend to be a step below the primary characters outlined above. Yet such secondary characters can very well rival the presence of the major characters, and they can even have their own arcs. No matter what, supporting characters do what they do best: support. They are not mere tools to be used and disposed of right away; they are lifesavers that keep the rest of the ship afloat. In Houseki no Kuni, Antarcticite is a supporting character. They work alongside Phos, giving them advice and assistance as they work under perilous circumstances. Moreover, Antarcticite gives them an ideal to live up to and a newfound sense of duty in the aftermath of their time together. 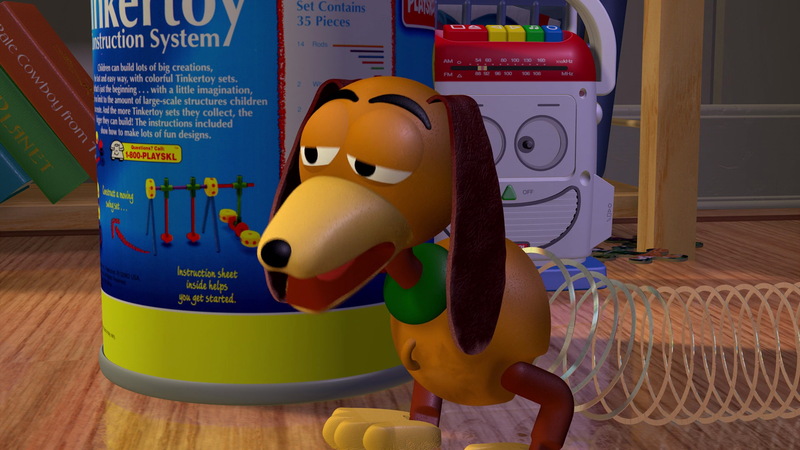 In Toy Story, Slinky Dog is a supporting character. He and Woody are pals, so he tries his hardest to stick up for and believe in Woody. He goes so far as to literally put his body on the line for his longtime companion because, as man’s best friend, he cannot leave the cowboy behind. A foil is a specialized role. It’s defined as a character who, “…through his or her actions and words, highlights and directly contrasts the personal traits, qualities, values, and motivations of another character.”  Their presence provides greater insight into their opposite (and sometimes vice versa), leading to a better understanding of the pairing involved. Given that a foil character can be any character, they aren’t as “restricted” when it comes to where they appear. A foil can be the protagonist, someone who supports, or any other character in the story. So long as he or she contrasts with another character in a meaningful or thematic way, then he or she can be treated as a foil character. 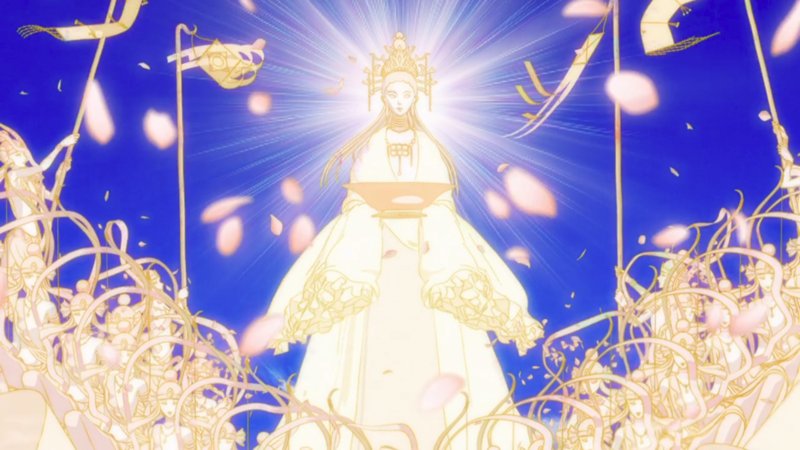 In Houseki no Kuni, Bort is a foil (to Diamond). Bort is very serious, the best fighter among the group, and strong both of mind and body. In contrast, Diamond is kindhearted and silly, envious of Bort’s fighting capabilities, and weaker in constitution. With Bort around, the audience more readily sees Diamond’s mindset and overall character. 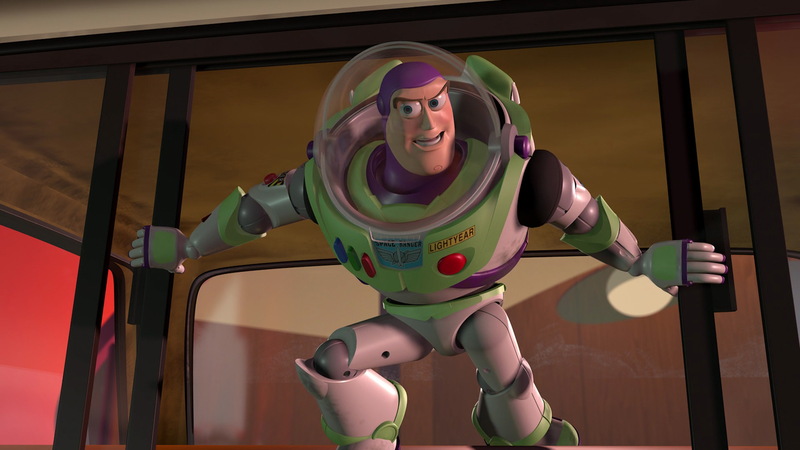 In Toy Story, Jesse is a foil (to Woody). As a cowgirl, she stands opposite to the cowboy, but it goes further. Where Woody is generally reserved, she is quite boisterous. Most importantly, he still has love from Andy whereas Jesse lost that trust a long time ago. Her personal difficulties make it easier to see how much Woody has evolved since the first film. It takes its name from storage and availability terminology. I.e., they are characters who are so repeated or so overused in stories that they may as well have been in stock on a shelf from a supermarket. Yet sometimes, that yummy bag of chips is all that’s required. 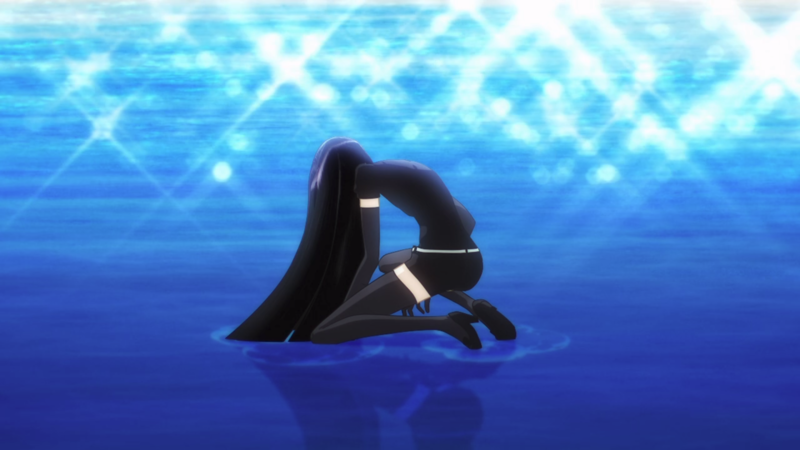 In Houseki no Kuni, Rutile is a stock character. They are usually referred to (by Phos) as the resident “quack doctor”, and they live up to the title thanks to their fascination with new techniques and oddities as well as their unreserved use of their useful tools. 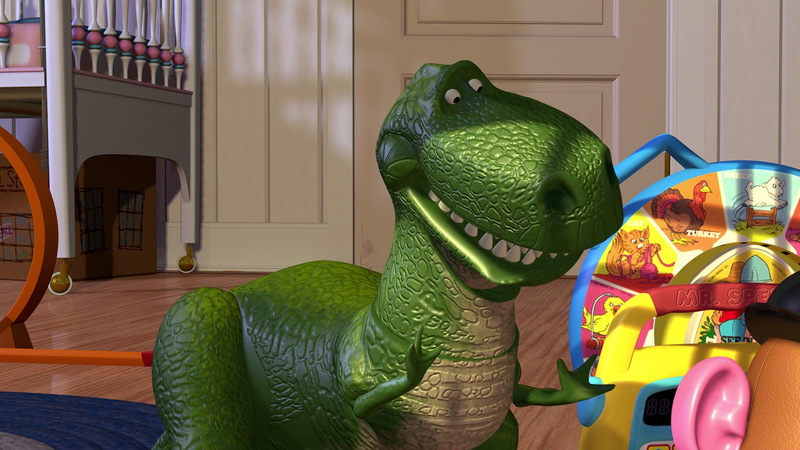 In Toy Story, Rex is a stock character. He’s there as the comedic relief: his funny voice, his anxiousness, his ineptitude. When the story wants to take a short break from its dramatic front, Rex waits nearby to get the audience laughing in usual style. For example, a narrator may talk about the clothes a character wears (direct), and he or she may take part in their hobbies during a small in-between scene (indirect). Anime and films heavily lean towards the indirect pattern since it is mostly a visually driven medium, but instances of the direct pattern can and do exist out there. Such complexity falls onto one of two sides: flat and round. A flat character is “…notable for one kind of personality trait or characteristic”. Or at the minimum, their characteristics are kept to the bare minimum. This translates into them usually remaining rather stale in their qualities: what actions they take, the ideas they have, the dialogue they speak, and the nuance they carry. Sure, they’re designed to not be the most interesting people on the planet, but that designation does not make them any less likable. A flat character can be just as pivotal as anybody else within a project because they very well could be the right person at the right time. 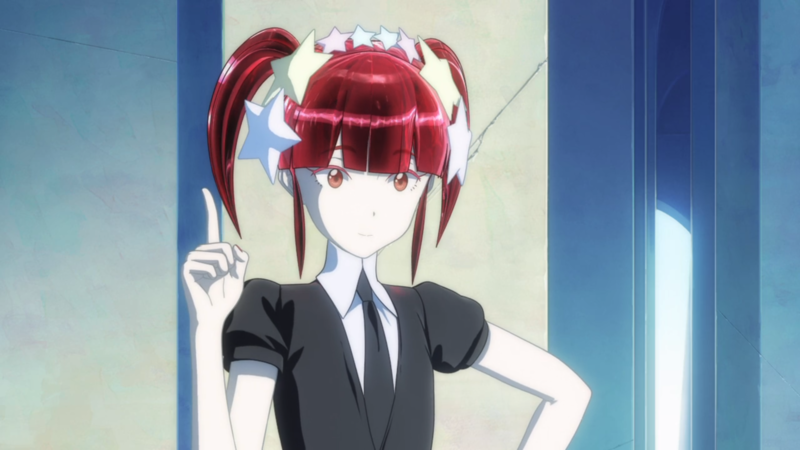 In Houseki no Kuni, Red Beryl is a flat character. They are only really known for their intense passion of fashion and fashion design. Their starry hair “ribbons” indicate this trait readily enough if their concern over lost prototype suits does not. In Toy Story, Hamm is a flat character. He’s a sarcastic fellow who tags along with the other toys, offering quips here and there. Him being one-note does not devalue his inclusion but rather boosts the flavor and the possibilities available. These characters feel the most human to an audience, for they encompass a wide variety of personality traits, emotions, and general characteristics. With an increase in dimensions also comes an increase in relating to them. It equates to real life when someone describes an individual as “well-rounded”. He or she gives off an air of having many simultaneous facets that compose his or her entire self. In Houseki no Kuni, Diamond is a round character. Their immeasurable kindness makes them a favorite, and, despite their hardness, they have a soft spot for the fluffy things in life. Yet they also house low self-esteem which motivates them to either give up or give it all that they got. 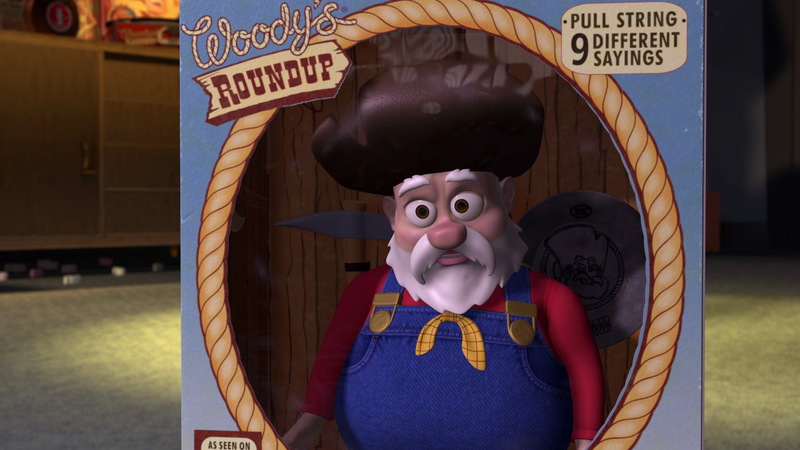 In Toy Story, Stinky Pete is a round character. His old age and his cherry-picked words belie the fact that his thoughts and actions derive from a sinister place. His arguments may make sense given what he has been through, but his evil ways are tough to justify. While it seems like a trivial difference, it’s important to not accidentally conflate complexity and development. The former describes who they are; the latter describes how they have changed during their journey. Making these distinct categorizations aids in analyzing a character to a more precise degree, and, at the very least, accurately lays out what character development means. Such development also falls onto one of two sides: static and dynamic. A static character is “a literary or dramatic character who undergoes little or no inner change; a character who does not grow or develop”. “Static” in this context does not refer to the electric conduction stirred up from laundry or the shuffling of feet but rather the immobile aspect to their changes. These characters are mightily consistent, lending themselves well to a solidarity that defines their actions and their mindsets. Think of them as a rock on a treadmill: moving along with everyone else yet remaining as rigid as stone. In Houseki no Kuni, Alexandrite is a static character. They’re a bit loony, and their extreme lunacy emerges under certain conditions. Nonetheless, this strangeness also nets them a keen sense and a sizable knowledge of the Lunarians who they combat daily. However, they do not change during the story. They’re a weirdo from beginning to end. In Toy Story, Mr. Potato Head is a static character. He’s grouchy and tough, but he loves his wife. Similarly, he has his moments throughout the whole series, but he never really grows as a person. He’s the same spud through and through, and that’s okay. A dynamic character, in contrast to a static character, is one that “…experiences some type of important inner change…”. They refuse stagnation as the situation and the opportunities change them — for better or for worse. These characters are often the most intriguing within a story. Their development correlates to key events and produces tangible progress, delivering satisfaction and payoff as they experience the adventure before and around them. As such, a dynamic character is often one of the most important players in a given tale. 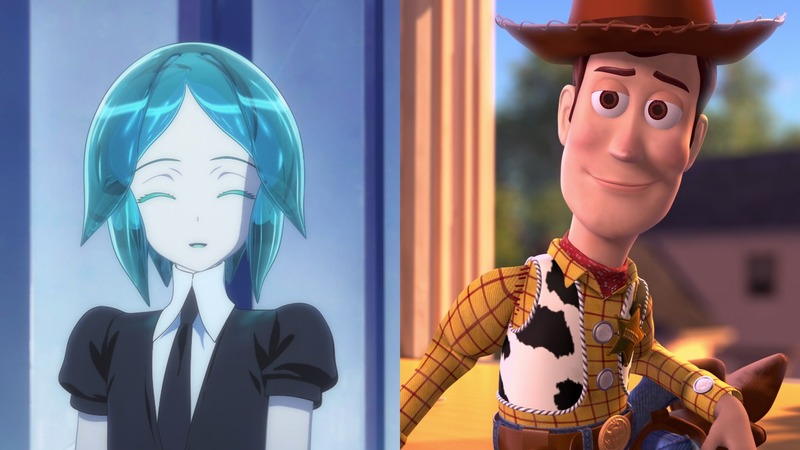 In Houseki no Kuni, Phos is clearly a dynamic character. They morph into a new person over the course of the show, changing both their physical and mental state of beings. Indeed, comparing who they are at the start to who they are at the finish is practically night and day. In Toy Story, Woody is a dynamic character. He sheds his narcissism, jealousy, and selfishness, earning new wings made of plastic and friendship that let him soar with style from then on out. It cannot be stressed enough that these definitions and these examples are not the end. For instance, many more roles exist. False protagonists. Anti-heroes. Meaning, the above types are not all that stories have to offer but instead highlight a helping of the options they have at their disposal. Also, such positions are flexible and by no means confined to any strict formula. Maybe a story has seven antagonists. Maybe the deuteragonist can be seen as a support. Maybe that stock dude or dudette morphs into a foil later on. Same goes for their depth and their change. A character isn’t always meant to be or to act one way or another. Everything given here is often the most relevant, but it is not required of them to stick to these “rules”. A protagonist may be static. A stock character may eventually become the deuteragonist. A round character may exit the stage earlier than expected. Everyone could be a major character and fit none of the usual monikers. It’s also vital to understand that not every single character needs or even must be round and dynamic in writing. While that’s most often reserved for the protagonist and other mains, and disregarding how infeasible such a task would be (depending on the story and the other characters involved), it’s perfectly fine to have flat and static characters. As already discussed, they have a spot in the story just like everyone else. The point is this: these specific classifications are neither gospel nor the be-all-end-all way of thinking about characters. Just like people, they cannot be summed up by a term or two, for they come in many shapes and sizes. The multiple dimensions and the fluid nature of their beings make it so. What it all comes down to, then, is the direction of the story, the purpose of those characters within it, and the overall execution of the project. Characters are the most important elements for a story. Many different factors dictate their roles, characterization gives them depth, and development allows them to appropriately change. It all comes together as impact and power within a story, molding them into believable or entertaining forces as said story plays out. So, the next time you are watching your favorite anime at home or sitting in a theater to check out that new film, take note of the characters, think about their construction, and appreciate what they bring. For you may just find that such gemstones and playthings are more than meets the eye!